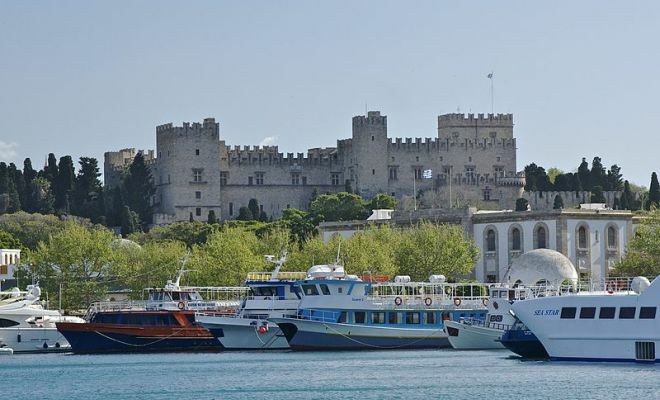 The excursion includes licensed Guides and deluxe motor coaches and commences with a Panoramic Drive through the New Town, past Mandraki Harbour, the Post Office, Town Hall, Evangelismos Orthodox Church and continues to the Monte Smith Hill which offers a magnificent view of the Aegean and the City of Rhodes. 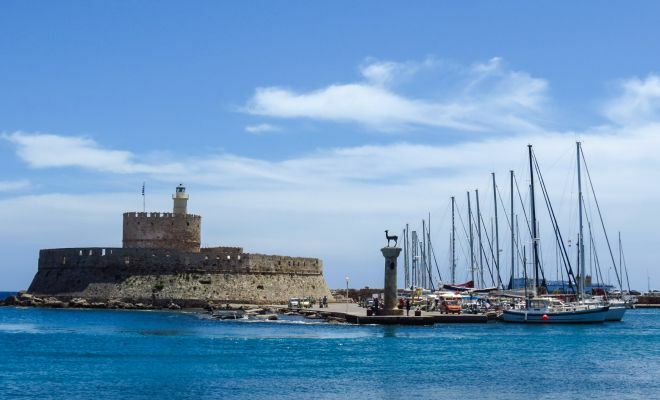 The drive continues past the ancient Rhodes Acropolis dedicated to Zeus Polieus, Athena Polias and Pythian Apollo. Four columns of this Acropolis have been reconstructed. The final drive-by is past the 2nd century BC ancient Stadium and Theatre. Both the Stadium and Theatre have been restored. 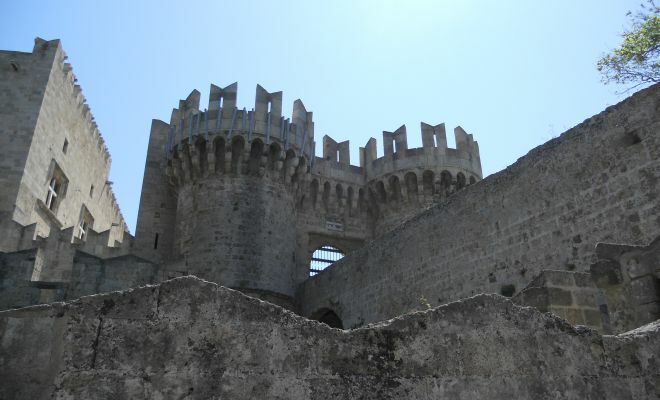 From there the excursion continues to the D’ Amboise Gate of the Medieval City where the guests disembark and on foot visit the Grand Masters Palace, the most imposing building of medieval Rhodes. It was originally built in the 14th Century, but demolished by an explosion in 1856. It was restored in 1939, during the Italian occupation. The excursion continues down ‘The Street of the Knights,’ which, in spite of the restoration of its buildings, has remained untouched by the passage of 500 years, since it was originally built in the 14th century. The Gothic order predominate the entire street. The Inns of the various ‘Tongues’ stand in a row, with impressive arched doorways, their emblems carved above them. The final visit is to the Archaeological Museum, which is housed in the restored building of the 15th century Hospital of the Knights.